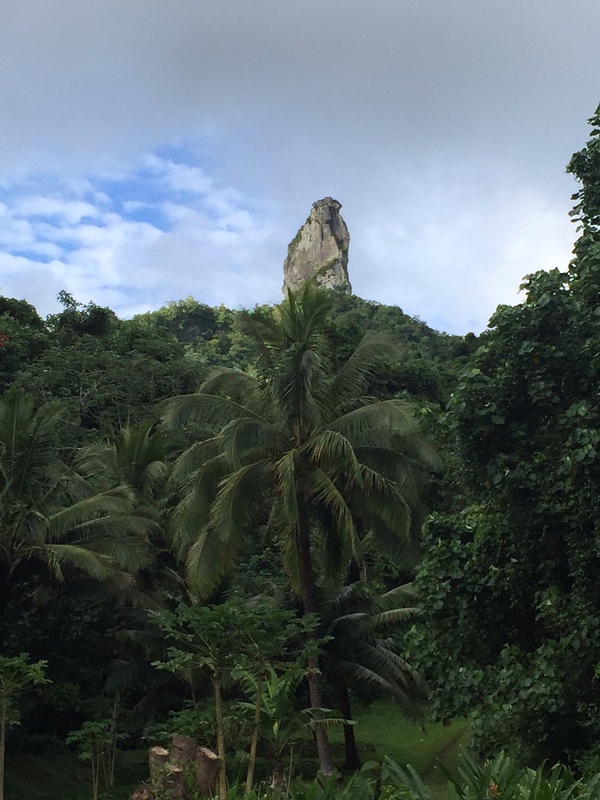 I first heard of Rarotonga a year ago when a colleague returned from her honeymoon. After that my ears perked up whenever I heard it mentioned. I learned that it is the largest of the Cook Islands and is a favorite holiday destination for Kiwis due to its proximity, convenient use of the NZ dollar, and affordability relative to other islands in the South Pacific. Our decision to go for the Queen’s Birthday weekend was spontaneous for us; we booked nonstop flights on Air NZ just 2 months beforehand. The date of departure finally arrived. We boarded the flight early Friday and traveled across the international date line to land on Thursday afternoon. The full flight meant it took the better part of an hour to get through immigration, but the open air terminal let in the warm, humid air. Within minutes I was happily shedding layers. Sonny from Aroko Bungalows greeted us with fragrant leis and drove us to our accommodation in Muri Beach, approximately 20 minutes southeast of the airport. The shallow lagoon at Aroko enabled wading to the islands off the coast, but never got deep enough to swim in. The beach further south in Muri looked better for swimming. 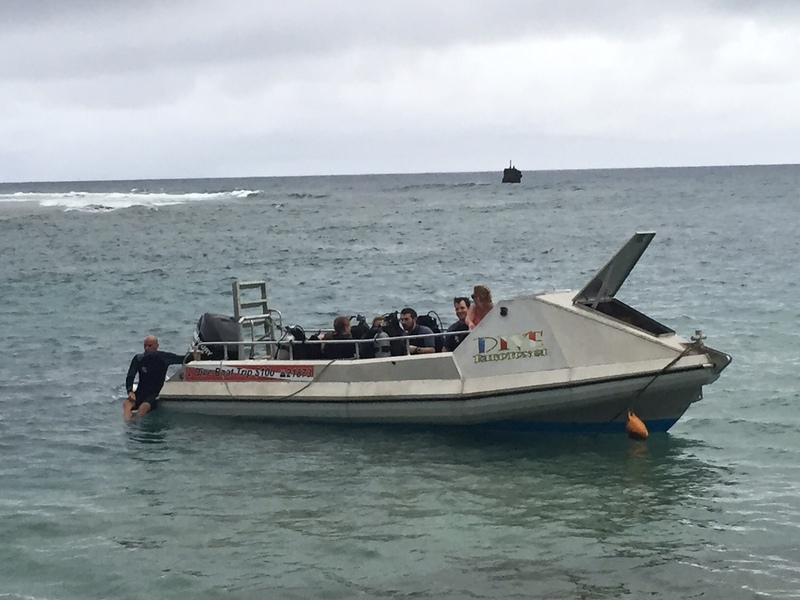 Rarotonga is a small island, 32 kilometers in circumference, with 2 public buses. One travels clockwise around the island while the other operates counterclockwise. The buses depart the city center every hour. Consequently, transport around the island is quite simple. The highlight of our trip was the cross island trek which ended at a stunning waterfall with a pool of fresh water to swim in. It was the perfect way to refresh after a challenging 3-hour hike. Diving was spectacular and I am still awestruck at the visibility. After my recent dives in New Zealand it was a pleasure to be back in warm water. Saturday’s Punga Nui market was also a highpoint. Locals and tourist alike wondered among the stalls unfazed by the rain showers. I took the chance to buy tropical starfruit and enjoyed a flat white sweetened with coconut milk. Yum! Cook Islanders spend Sundays in church. We joined the celebration at St Paul’s in Titikaveka, a 40-minute walk from our bungalow. Later, as we rode the clockwise bus to the airport we got our first glimpse of the southwestern shoreline. Passing the glorious beaches I wished for one more day to soak up the sun. It is rare for us to return to a vacation destination because the world is full of new adventures; however, on this trip we were discussing plans for our next visit to the Cook Islands before the airplane left the ground. Next time we might stay on the west side of the island (Crown Beach Resort looked nice) and we’ll definitely add on a trip to Aitutaki: what the locals describe as the real Cook Island experience. Weather: varied from overcast, rain showers, and finally sun; 80s & humid felt wonderful!